GIGABYTE’s vast Z170 motherboard lineup can make it difficult to choose one to go with, which is actually a great problem to have. But, we can tell you that if you are a gamer who wants a lot of functionality for a fair price, one board to be on the lookout for is GIGABYTE’s GA-Z170X-Gaming 7. It’s ~$225 USD, and put simply, it’s stacked. An archive including all of the screenshots we captured (EFI + software) can be downloaded here (.ZIP, 800KB). For the Z170 generation, we see the return of the best version of GIGABYTE’s EFI. It’s clean, and perhaps even elegant. 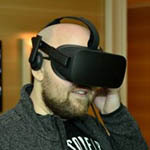 It’s also easy to maneuver through with either the keyboard or mouse – and speaking of the latter, I was somewhat impressed to spot an option to adjust the mouse speed, which I actually took advantage of. This EFI lets you adjust your mouse speed - a nice touch! The M.I.T. section is where all of the overclocking magic takes place. The M.I.T. system overview page gives you a lot of important information all at once. If you are serious about overclocking, you will be in heaven with all of the options available on this board. This board features many drive options, including hotplugging support. Nonetheless, I am glad to see that this is the EFI version GIGABYTE chose to stick with. So what about the software? Admittedly, GIGABYTE’s solutions of late haven’t been overwhelmingly impressive, and for one good reason: it hasn’t been uniform. @BIOS looked nothing at all like EasyTune, for example, and it in-fact looked “old-school”. This generation, that has all been rectified. All of the apps included in the aptly-named “App Center” (enough app?) follow the same aesthetic, and overall look great – if you enjoy lighter backgrounds. I personally wish GIGABYTE stuck to a darker color scheme, but it’s a minor complaint and one that could be easily battled against. App Center is modular in design, so you’re able to install only the apps you will use. For the sake of testing, I opted to install and check out each app, and fortunately, I have no problems to report. If you want to see all of the individual tools that GIGABYTE offers, I’d recommend downloading the small Zip archive at the top of this page. I wanted to highlight just two: EasyTune and Ambient LED. 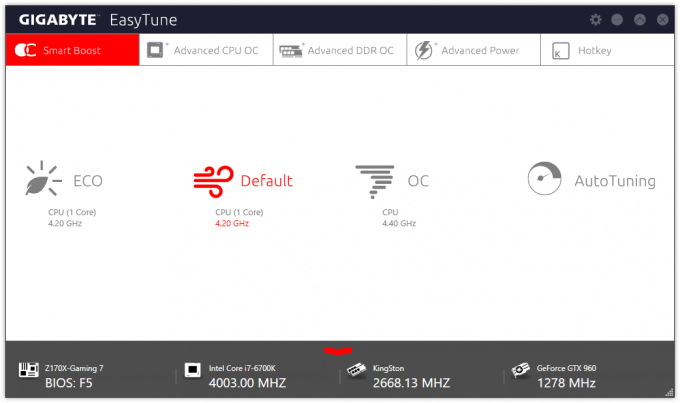 EasyTune is a one-stop shop for overclocking, and it really couldn’t be much easier to use. If you’re not interested in messing with individual settings, you can simply choose the “OC” profile which will automatically overclock your CPU based on known safe stable overclocks. In the case of our Core i7-6700K chip, the board would overclock it to 4.4GHz, effectively a 400MHz gain. If a 10% clock boost isn’t satisfactory, you can choose “AutoTuning”, which will attempt to stress the chip and determine its max stable overclock. Due to minute differences in each chip, this option is going to be hit or miss. If you really want to eke as much performance out of a chip as possible, I’d encourage you read a beginner’s guide on overclocking modern Intel processors, because all you need to know are a couple of basics – you’re not likely competing for world records, after all. 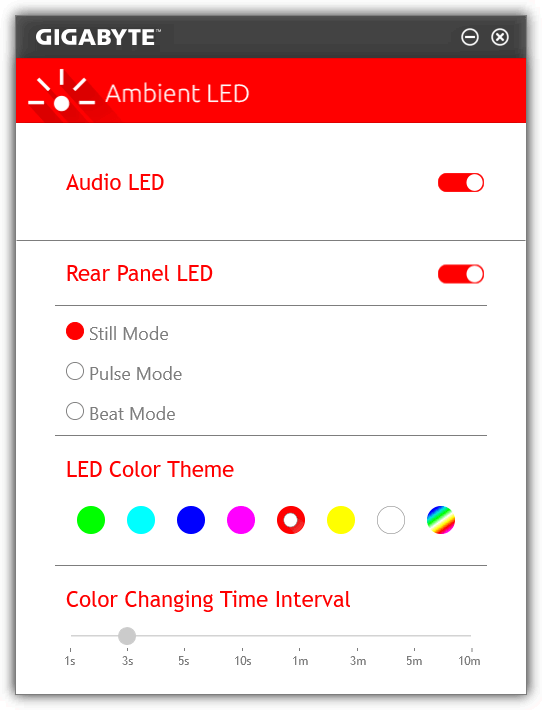 Ambient LED is just as it sounds: LED control. As mentioned on the previous page, the Gaming 7 board includes an I/O panel that can plug into the motherboard, providing seven different colors to choose from. Part of the shroud on the motherboard also enjoys this LED lighting, so if you love color, you’re really going to love this board. Because I am a big oaf, I forgot to snap a photo of this in action, but the effect makes me want to build a windowed PC. You can see an example of the lighting on the board’s official product page. Simply put, GIGABYTE has done very well with its software solution with this generation. It was the first time I was left truly pleased when all was said and done; my minor grievances in the past being the lack of a single design between all of the apps offered. All of the apps are easy to use, and the fact that App Center as a whole is modular is fantastic. Onwards to performance testing and conclusions!